Sturdy all red oak construction. Fits all doundouns. Simple rope adjustment for height variations. Subtract 5″ to 6″ from length of your drum for best stand fit. 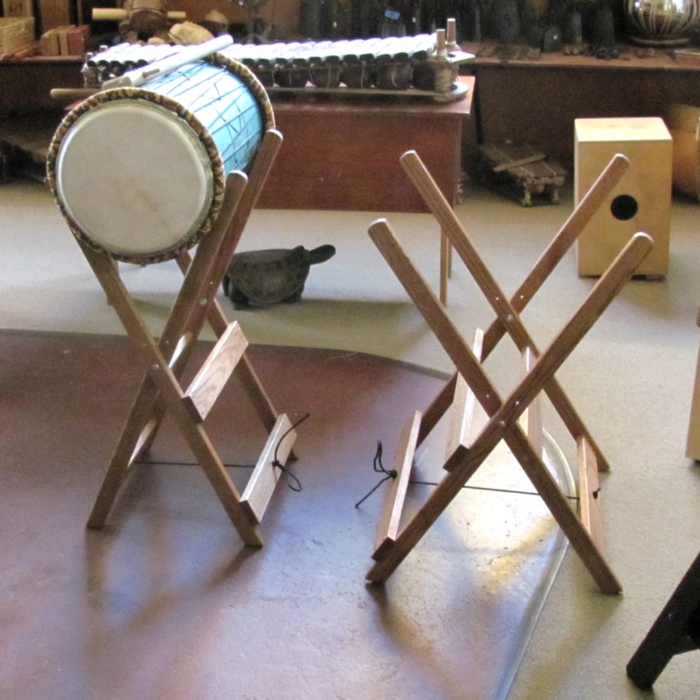 For example, 22″ wide stand works well with 28″ long drum.